Dittel FSG 71 tranceiver in Lindstrand bag, serial number 11110. 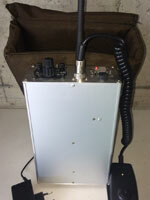 Dittel FSG71M air band transceiver, 25 kHz channel spacing, in aluminium box with antenna, microphone, 220V charger, loudspeaker on top. Brown cordura bag with strap to mount on cylinder. Comes with user manual. 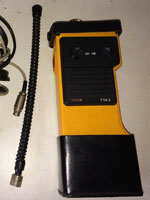 Box is suitable to fit new 8.33 kHz KRT2-S. Ready to use, in very good shape. 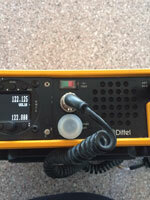 Dittel FSG5, 25 kHz channel spacing, with leather bag, antenna and 220V charger. Refurbished 2 year ago, in very good shape. 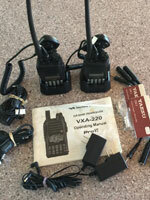 2x Vertex VXA-220 air band radio, 25 kHz channel spacing, with charger cradle, 220V adapter, belt clip, car charger and user manuals. Dittel KRT2-S in Dittel PC70 box, 8.33 kHz channel spacing, with antenna, microphone, built-in 220V charger, loudspeaker on top, red cordura bag with cylinder strap, user manual. Ready to use. 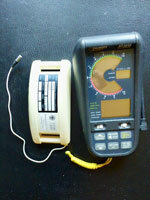 Comes with EASA Form 1. 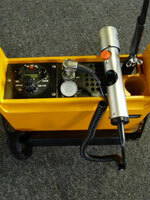 Flytec 6040 with TT34 temperature transmitter, built 2016, used for approximately 200 flights. In good condition. 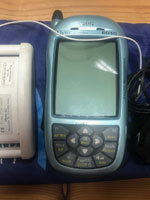 Flytec 3040, vario in ft/min. Including bag and velcro. In good condition. Immediately available. 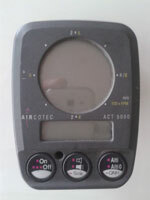 Flytec 3040, vario in m/s. 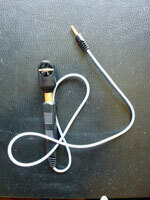 Including TT34 temperature transmitter and velcro. In perfect condition. Immediately available. 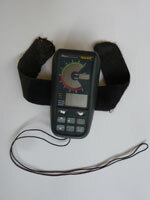 Flytec 3040 with TT34 temperature transmitter, including Flytec bag. 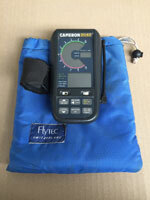 Flytec Anemometer, compatible with the Flytec 3040.